Niche recently ranked the best 25 places to live in Florida for 2018. The top 4 are in Tampa, with Tampa Bay as home to over half of the communities ranked in the top 25. If anyone ever doubted whether Tampa Bay is the best place to live in Florida, there is no reason to doubt any longer. The 4 communities ranked best places to live in Florida are in Tampa. The communities were ranked by Niche using different criteria, including public schools, jobs, amenities, family living, housing, and of course safety. All four of Florida’s best places to live received A ratings in those categories, which is a great representation of Tampa schools. Niche releases this list yearly, compiling information from the U.S. Census, FBI, BLS, CDC, and other sources as well. This is meant to be a comprehensive guide of housing and communities from all over the country. The different factors considered are then broken down into a percentage of the overall score. For example, the public school grade, which, according to Niche, is “Based on the average Niche K-12 Overall Grade for every public school serving the area, where each school is weighted by the number of students it serves,” made up about 15.0% of the grade, the percent change of the median home value made up 7.5% of the grade, the crime and safety grade made up 5%, and monthly housing cost to income ratio made up 5%. Niche also included walkability in the scores, taking commuting into account. This is great for people who are looking to live in a community where they aren’t bound to their cars for moving around the community. 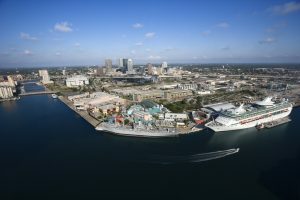 Some of Niche’s other lists provided include the “Best Places to Raise a Family,” which also included many cities in Tampa Bay. Here again, Tampa took the top prize with the best 4 communities in Florida to raise a family. Another interesting list created from the information gathered includes the “Best Place to Buy a Home.” The Tampa neighborhoods on this list include the best 4 communities in Florida to buy a home. Tampa Bay is the overall best place to live in Florida, which means that buying a home can have a few more challenges compared to less desirable communities to live. Although home prices in Tampa Bay remain very attractive, and there are a lot of very nice residential communities being developed, home buyers occasionally compete for homes and for locations. It’s important, therefore, to have a Realtor and mortgage broker who can equip you to compete for the best home, at the best price, and with the best mortgage. Having a mortgage broker on your team who can deliver these 3 features, will help you win the home of your dreams at the best price. To lean more, see our article: Select a Mortgage Broker Who Gives You a Competitive Advantage. Marimark Mortgage serves the mortgage needs of homebuyers, homeowners, and investors in Florida, Virginia, and Pennsylvania. We specialize in conventional home mortgages, FHA, VA and USDA mortgage options, refinance loans, and reverse mortgages. We’ve worked extensively with cash-out refinancing, and help clients with HARP refinancing to lower their monthly mortgage payments. To say that we are delighted with your work is an understatement! You navigated through one of the more complicated transactions that we’ve ever completed in a professional and expeditious manner for which we can only be eternally grateful. Thank you so much for your help!